The 2018-2019 Partners for the Future class with program director, Professor David Jackson. Great scientists do great research, but they also take the time to mentor the next generation of aspiring, inquiring minds. 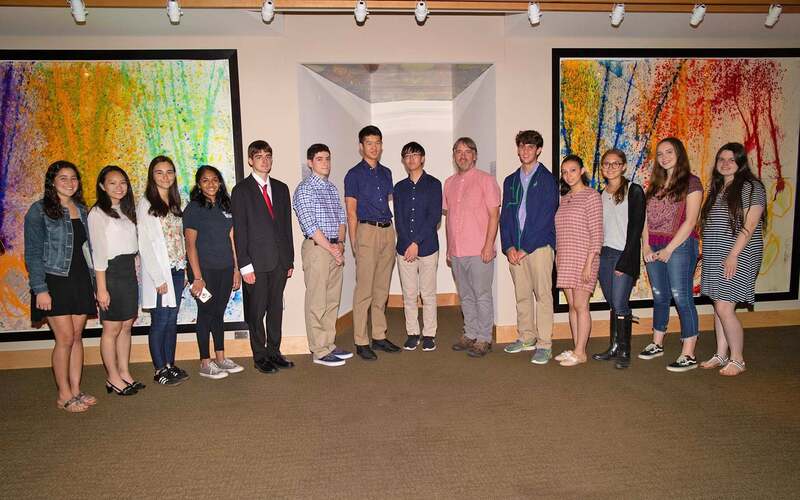 This is why Cold Spring Harbor Laboratory’s (CSHL) Partners for the Future program (PFF) connects high school seniors with researchers, offering students the opportunity to work in a fully-functioning lab. Every year, Long Island students who are nominated by their high school science department chair, compete for the opportunity to spend a year working alongside CSHL scientists, doing cutting-edge biology research. The incoming class of 2018/2019 students arrived at CSHL on September 12th to meet their mentors. The 15 students came from schools across Long Island, from as far as Commack, Massapequa, and Lynbrook. Each student is placed in a lab that specializes in one of CSHL’s primary research areas: cancer, plant biology, neuroscience, genomics, or quantitative biology. They will then work to complete a project in said lab, which they present to their class at the end of the year.